Daniel S. Michalak in court for sentencing on April 17, 2019. 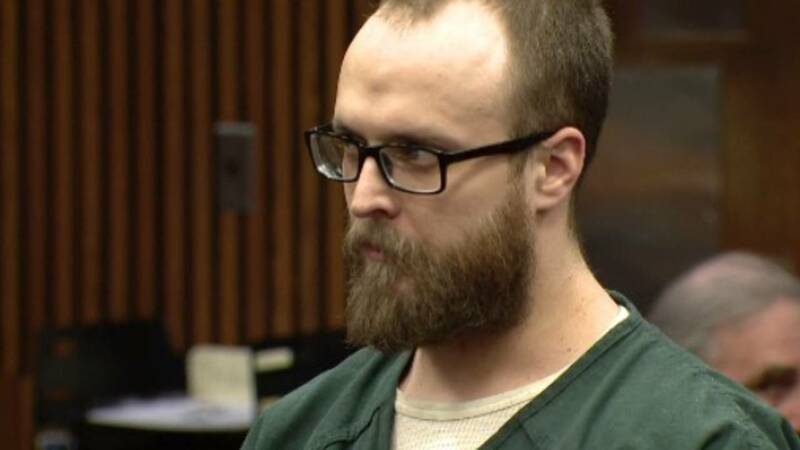 DETROIT - A 33-year-old St. Clair Shores man charged in connection with the death of his girlfriend, whose body was found in a hotel room at MGM Grand Detroit, faced sentencing on Wednesday. Daniel S. Michalak is accused of stabbing Tia Marie Vellucci, 27, of Davison, and leaving her dead in room 408. Michalak's case went to trial earlier this month before he entered a nolo contendere plea, a plea by which a defendant in a criminal prosecution accepts conviction as though a guilty plea had been entered but does not admit guilt. Michalak was sentenced to up to 30 years in the Michigan Department of Corrections. Deputies were called to the MGM Grand Casino at 12:49 p.m. on May 29 because Michalak was acting hysterically, police said. They received information that led them to check his hotel room, where they found Vellucci's body on the floor, police said. Officials said Vellucci had multiple stab wounds. "It appears to be a tragic domestic situation unfolding as we speak," Assistant Detroit Police Chief James White said. "The good news is the (perpetrator) is in custody." Michalak was charged with assault with intent to murder, assault with intent to maim and assault with intent to do great bodily harm, Wayne County Prosecutor Kym Worthy announced. He was arraigned last June and was being held at the Wayne County Jail on $1 million bail.